Pure Natural Healing by ‘Kevin Richardson’ is one of the most useless scams I’ve ever come across. This product claims to have the cure to most of the world’s most difficult diseases (cancer, depression, heart disease, infertility etc) but all I see here is a well-designed scam full of absolute garbage! Don’t be in a hurry to read this review. Take your time and study it, because it is the only honest, unbiased review of this product existing on the web at this time. The Pure Natural Healing website has been around since May 2009, and it is hawking an eBook about the skills of one Chinese dude called Master Lim, who allegedly used, and is still using acupressure (a derivative of acupuncture) to ‘heal’ all manner of diseases. These diseases include (but are not limited to) heart attack, depression, migraine, arthritis, cancer of any type, and even infertility. But don’t be deceived by the flashy website and all the insane claims, as the evidence I’ve gathered about this product will shock you to the bones! Before I dig in, I have to disclose that I’m not an expert in traditional Chinese medicine and I don’t intend to study it. When I came across this product, I initially did not want to review it. But after browsing quickly through its website and seeing all the unbelievable scam evidence staring at me, I had no option but to change my mind! So lets begin. Why do I call Pure Natural Healing a scam? 1. Kevin Richardson Does NOT Exist! 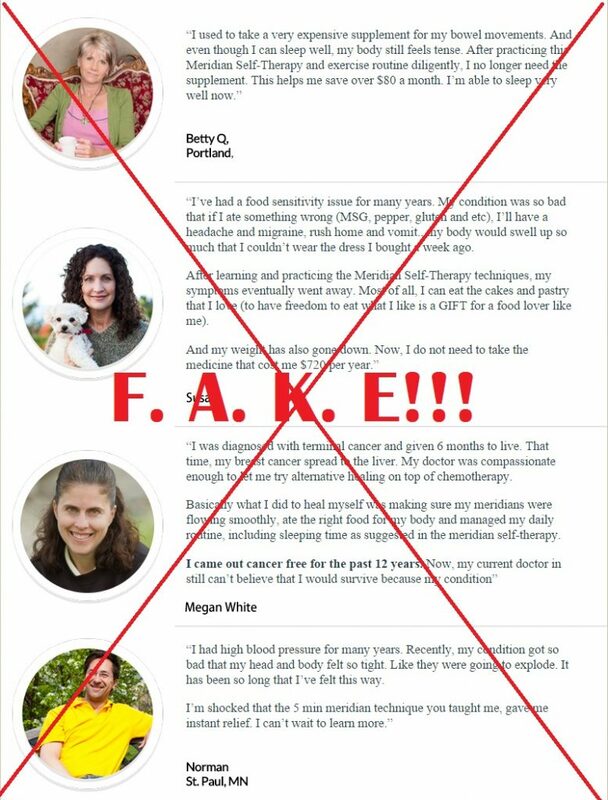 Kevin Richardson, the so-called author of Pure Natural Healing, does NOT exist! 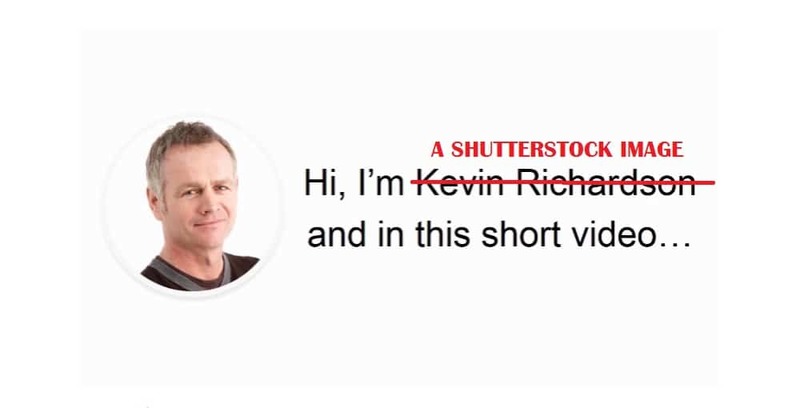 The photo purported to be of him is just a Shutterstock image anyone can buy and use for anything! Here is the link to the Shutterstock image. Regular readers of Contra Health Scam already know the drill: Anytime a Shutterstock, or any stock image is used as the photo of the author of a product, then that product is a scam! There is not much to say about this one. 2. Fake Testimonials. ALL of Them are Stock Photos! Whoever created this Pure Natural Healing scam is a great fan of stock photos. This is because ALL the testimonials featured on the website are stock photos bought from different stock photo websites … and there are a lot of them! For example, Anthony H. from Rochester, New York is a stock photo bought from Fotosearch.com, Margaret M. from Henderson, NV was bought from 123RF.com, Shane B. from Sioux Falls, SD was bought from Dreamstime.com while Megan White, a supposed breast cancer sufferer-turned cancer-free ‘for the past 12 years’, is a stock photo model whose photos you can buy at Shutterstock.com. As you can see, this scammer bought photos from at least 4 stock photo sites just for testimonials alone. This is crazy and utterly incredible! Now you may think that this is all the scam evidence I found at Pure Natural Healing … but no, I’m just starting! God knows I used everything the internet has to offer to try locating this Chinese wonder healer Master Lim (used Google, Facebook, Twitter, translated his name to traditional Chinese and searched on Baidu, etc) but I came up with nothing! I would like anyone who has personally met this guy to let me know in the comments or on Twitter so that I can reach out to him and thank him for his awesome work. I couldn’t even trace the photo of him provided on the first (yes, first) pop-up page. In the first pop-up page, the scammers went as far as quoting top universities (Harvard, Australia’s University of Western Sydney, Beijing University) celebrities (Gwyneth Paltrow, Jim Carrey, Julianna Moore and Robert Downey Jr.), who had on different times spoken favorably about Chinese traditional medicine. But don’t be deceived by this, as it is just a clever marketing strategy of stating a fact with the purpose of selling a fraud. The first pop-up page also contains the same testimonials already exposed above. The scammers were wise enough to include a list of references, but again, it is just another clever marketing tactic designed to deceive buyers into thinking that their product is authentic. That’s all for the first pop-up. 4. Pop-up Number 2: Pressure Tactic! This is a clear pressure tactic, designed to make you believe that you will not get the discount next time if you close the page. Utter nonsense. At the time of writing this review, this is the third time I’ve landed on this page and seen this same message. In fact, the first time I landed on it, I was shown a ‘[number] discounts left’ countdown widget – a very common tool used exclusively by scammers to make their victims hurry up and buy their product. 4. Pop-Up Number 3: Resorts To Spamming You! Final Recommendation: DON’T Buy Pure Natural Healing. It is A Worthless Scam! I believe a word is enough for the wise. Don’t waste your time and money on this product! Right now it is being heavily promoted by Clickbank affiliates and they have flooded the internet with fake reviews which are currently on the first pages of Google. This means that this review will not be seen by a lot of people if it doesn’t get shared on social media, forums and discussion boards. Help warn patients about this scam by sharing this review on the above-stated platforms, so that they too can avoid it and warn others. Thank you for reading this review to the end. I would like to know your thoughts on it. And as for those who have used Pure Natural Healing, please share your experiences with us in the comments. Thank you for your well done, unbiased, well researched, and honest review. Thanks a lot for your positive response Alicia. I’m glad you found it useful. Thank you for looking into it . I would have go on and buy it if I had not seen your review because it sounded real convincing. I had no idea of the possibilities there are to make fake look so real. Thank you for your research to this product, so glad that I didn’t bought it. Thanks for the information. You have saved me $20. I wish I had seen your site here before hand. I did get sucked into this scam and until I tried to contact “Kevin” with a question I had, I probably wouldn’t have known it. Every way I tried to contact him came back as undeliverable. Not even the email I received stating my purchase was ready for download gave me a viable return address. Now, rather than getting my question answered, I would just prefer my money back. Got any suggestions on how to go about that? Can I have the link for the ebook. I want to take a look at it. Thank you. Who is it on the video doing the exercises? Thanks for your honest review and research on the promoters of this because like you said they are all fake reviews in google. You should try to get a spot on a national news show like the today show to expose these scams. So glad I found your site!!! I’ve bookmarked it. From now on, EVERY email I get that’s selling something will be checked HERE first…Thank you SO MUCH for not giving in to greed like everyone else……What a refreshing attitude!!! Much appreciated!!! Do you know ANYTHING about “Master Healer Vihaan”??? Gotta thank people like you for helping us not to be scammed! Anyone got brought this ebook? I want to have a look at it. Thank you. Glad I don’t take these offers at face value and do some research. Thanks for the post! It’s now called, The Meridian Health Protocol ! Ughgh! Continues to Morph to SCAM! I read the book and when I have joint pains, headaches, and sore throat, I apply what it says and it really works. Meridian points are for real. Probably the photos are fake but for me the system worked just fine. How would I locate this individual going by the name, Kevin Richardson? Is there a phone number or address in which to contact him? Greatly appreciated.